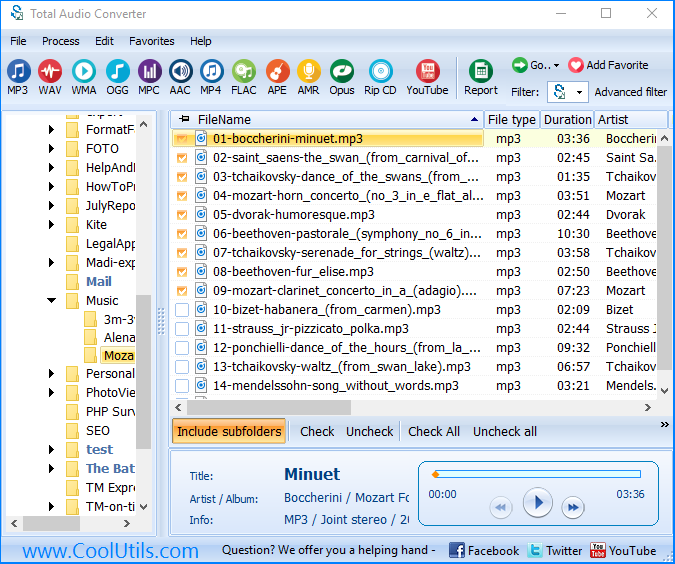 Select the folder with your WMA files in the file tree on the left. Click it to have its contents displayed in the main panel. 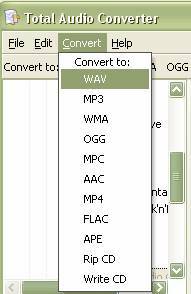 Select the WMA file you want to convert and mark it (click Check button or check its checkbox below the list). 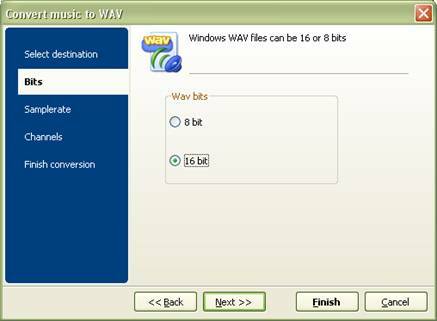 Choose WAV format in Convert option of Main Menu or press WAV button in top toolbar or right-click with your mouse at chosen file and choose Convert to WAV option from context menu. Wizard dialog window will appear. Choose Destination item and select necessary destination folder to place converted file. You can use current path and file name or to change both. 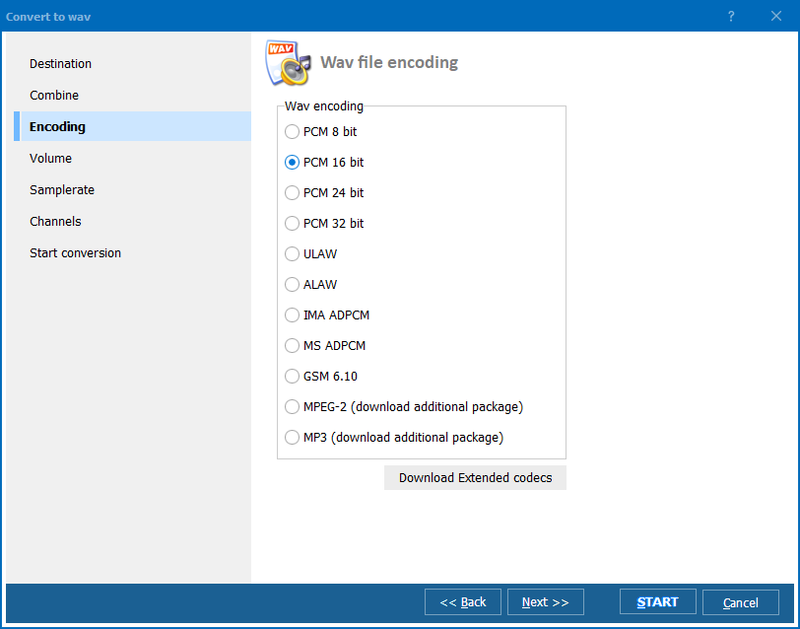 Choose Bits item and select either 8 bit or 16 bit your WAV file will be. Select necessary samplerate. 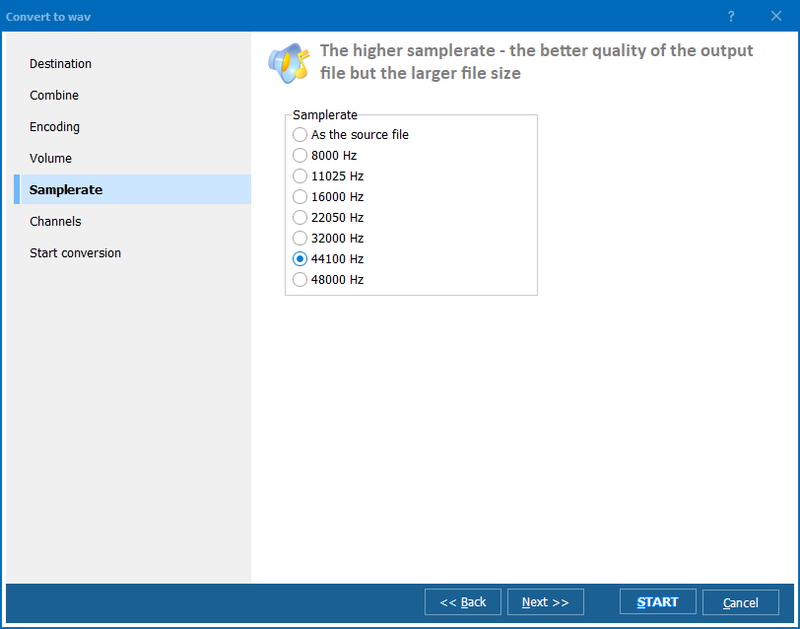 Remember that the higher samplerate, the better quality and the larger file size. 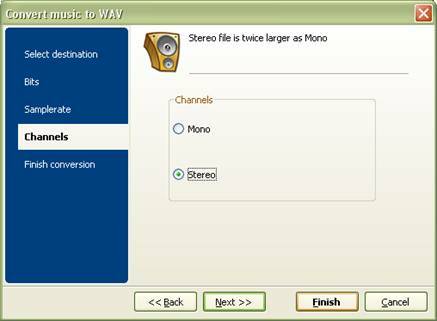 Choose Channels item and select mono or stereo channel. Stereo channel is twice bigger then mono, but more qualitative. Select Finish conversion item and check all parameters of converted file. You can mark the fields Delete originals and Open destination folder after converting to delete originals and to open destination folder after conversion. 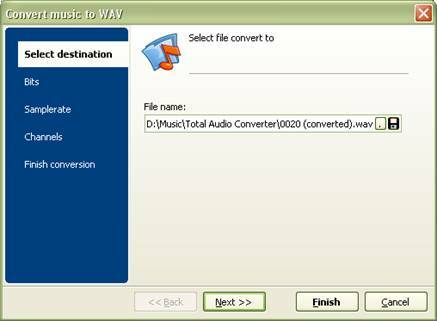 Press Start button to convert WMA files to WAV. Tip! 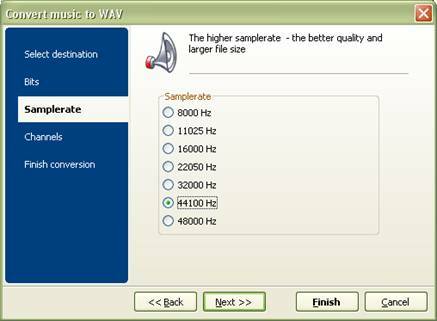 If you do not know what parameter to choose Wizard will automatically set the most appropriate one. All conversion parameters made are remembered so next time you want to convert files of the same source and target formats, these settings will appear (sure you may change them if you like). 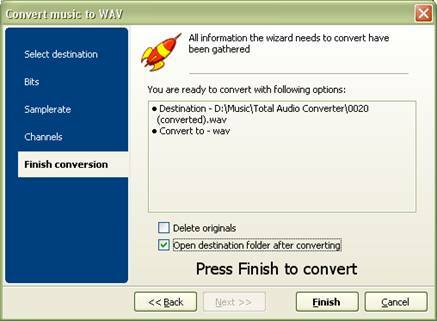 Get Total Audio Converter now to convert WMA to WAV and many other audio formats (including mp3, aac, ogg, mpc, etc. ).